Absolute return means different things to different people, but how do these meanings differ, which funds follow which strategy, and what are the implications for your clients? •What are cash plus returns and which funds follow them? •How does absolute return fit into a balanced portfolio? 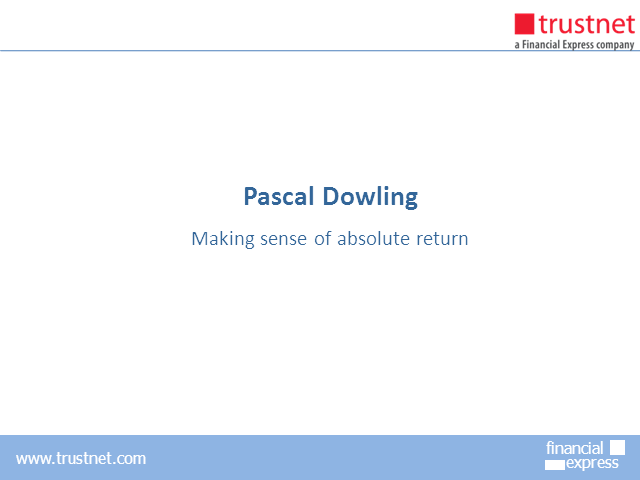 Pascal Dowling is a director responsible for product development at Financial Express Trustnet, the UK’s leading fund research site. Pascal has more than ten years experience in financial services, holds the full IMC certificate, and has worked as a journalist at Investment Week, Professional Adviser, The Telegraph, Evening Standard and The Guardian, as well as a number of European investment titles.